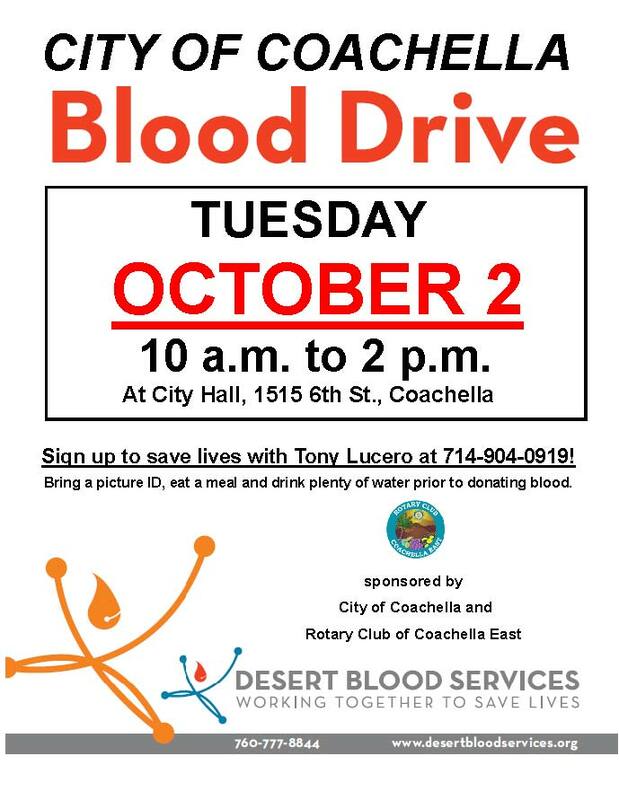 The Coachella East Rotary Club is hosting a blood drive on Tuesday October 2nd from 10AM to 2PM at the Coachella City Hall, 1515 6th St., Coachella. Everyone is the community is invited to participate. Sign up to save lives with Tony Lucero at 714-904-0919! 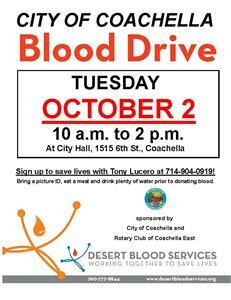 Bring a picture ID, eat a meal and drink plenty of water prior to donating blood.